OMICS is an annual National level technical symposium in the field of Biotechnology organized by the Student’s Biotech Forum of SVCE. A total of 550 students from all over the country participated in the symposium. 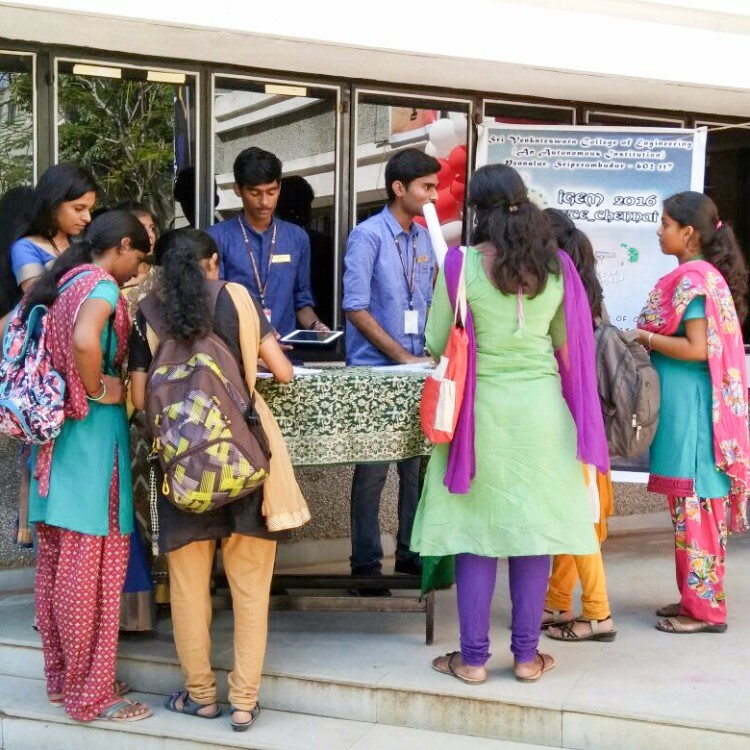 Our team set up a stall at the entrance of the department and interacted with the participants. We spoke to them about synthetic biology, its impact on society and environment and how iGEM as a competition promotes working on synthetic biology. We presented our idea to the participants and answered their queries. For the participants to better understand our project, we provided them with pamphlets with pictorial representation of our project and also showed them a video on how and when our product works. We were glad to see people from both related and non related fields of study showing a positive response to our project, openly telling us their suggestions and opinions and also appreciating our efforts.